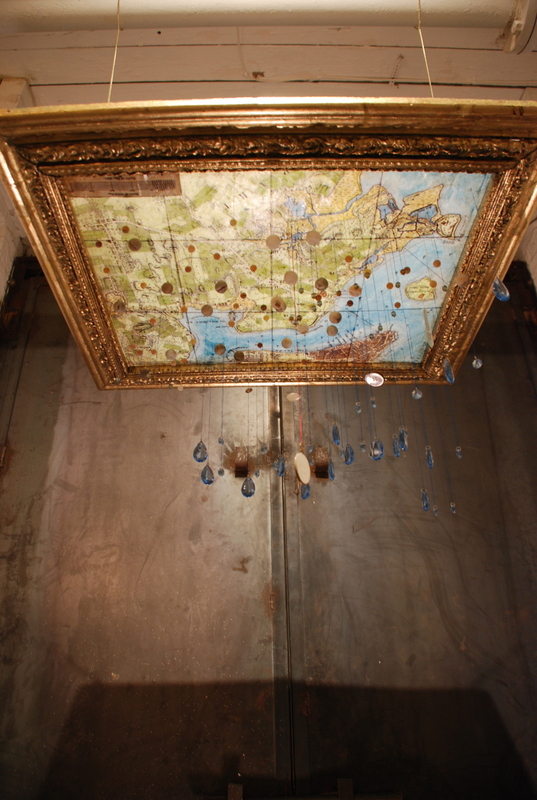 The Pop-Up Museum of the Gowanus Canal was our second group show at Observatory. 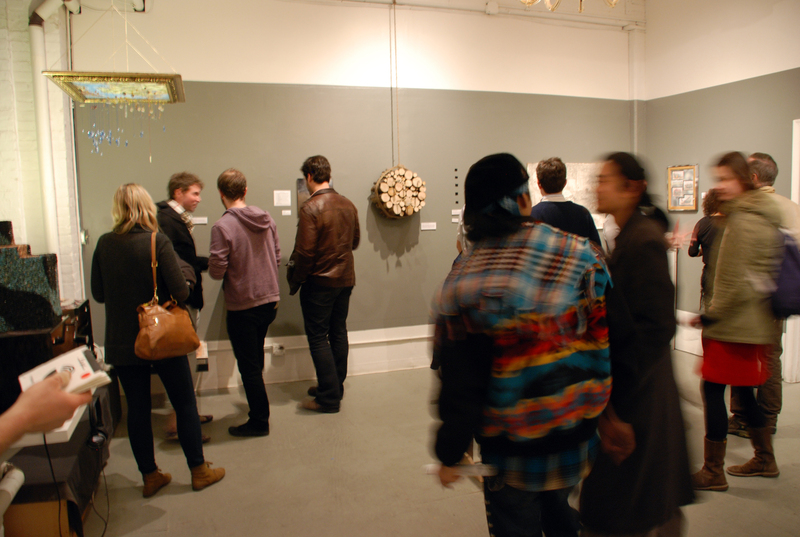 The Pop-Up Museum was Curated by the Hollow Earth Society and Radio Transmission Ark and could be seen from March 3 to April 22, 2012. 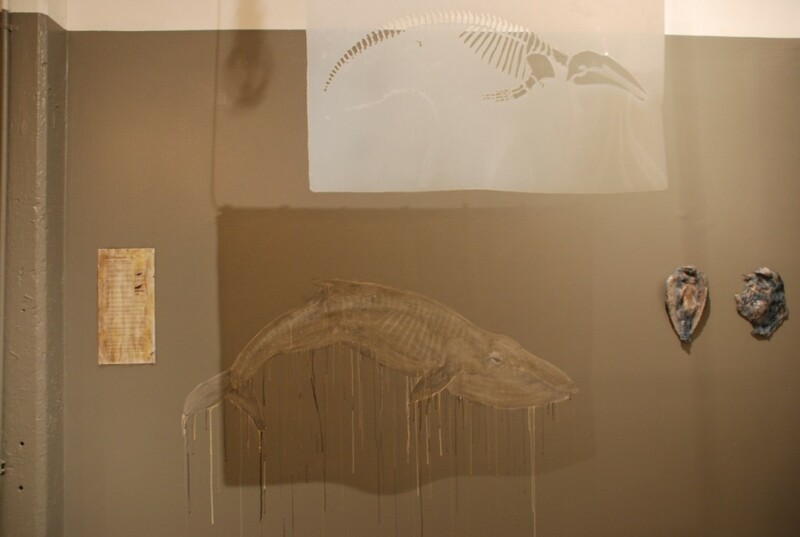 Whales by Emi Brady and Nikki Romanello. We began our second show by holding a Pop-Up Museum General Assembly at Observatory at noon on Saturday, February 11, 2012. We talked, sketched, and jotted down ideas. After the General Assembly, we worked until March 1st (18 days) to create and position a show of Gowanus-made or -inspired art within Observatory. We asked artists to remember: quick, fast, dirty, collaborative. Hanging map painting by Grace Baxter.